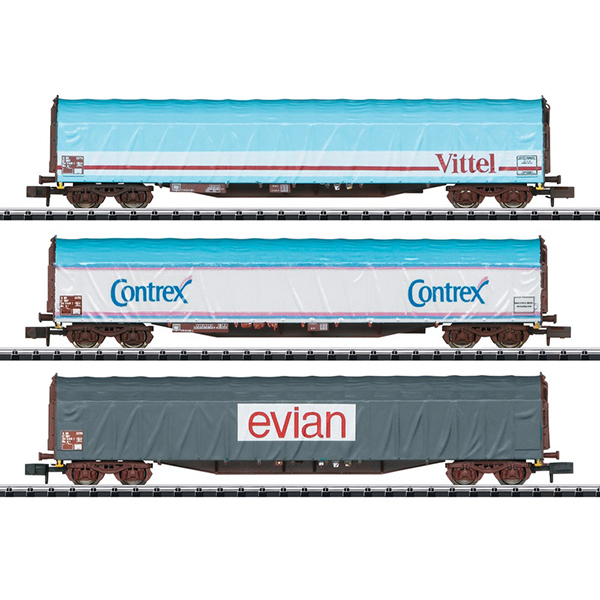 Prototype: Three (3) French State Railways (SNCF) type Rils sliding tarp cars. European standard car with a length of 19.90 meters / 65 feet 3-7/16 inches. Version with a single-piece tarp and rectangular buffers. Model: The cars have close coupler mechanisms. The trucks are type Y 25. Total length over the buffers 372 mm / 14-5/8".